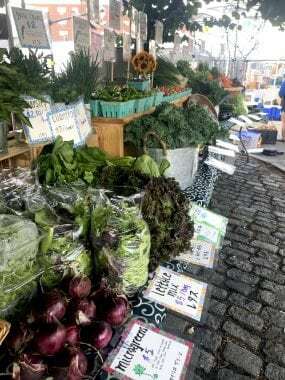 The Greater Boston area as well as state of Massachusetts as a whole has a plethora of farmers markets during the region’s growing season, which spans from late May to November. View this interactive map to find a Farmers Market near you, anywhere in Massachusetts. This map also has information on the location of farms, pick-your-owns, CSA pick ups, and more! Shopping at a farmers market is a great way to help support the local economy and become more in tune with the seasons, the local region, and the particular ecosystems within which we live. 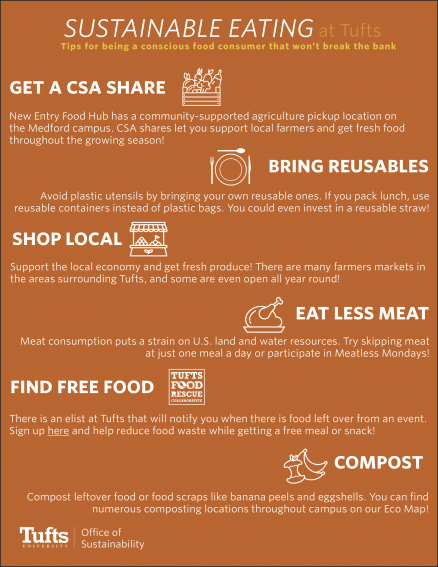 In addition, sourcing your food locally helps reduce the carbon footprint of your meals, as the food is not transported across the country to reach your dinner plate.